Kim Kardashian Photos, News, and Videos | Just Jared Jr. Fans won’t be able to get their hands on Kylie Jenner and Kim Kardashian‘s new perfume quite as soon as they hoped. The reality stars penned an explanation on Wednesday (April 17). Kendall Jenner keeps it casual while grabbing coffee with friends on Thursday (April 11) in Los Angeles! The 23-year-old model showed off her abs in a simple white crop top and tight black leggings during the outing. Kendall may have a new admirer, according to Vogue magazine’s new profile on her sister, Kim Kardashian. According to the Vogue piece, John Kennedy Schlossberg has “a crush” on the reality star. 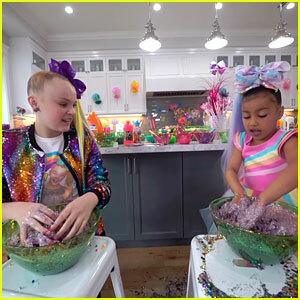 JoJo Siwa spent the day with another very famous kid! The 15-year-old singer and dancer took on babysitting duties for Kim Kardashian‘s oldest daughter North West. “I had so much fun getting to film with North and @kimkardashian ❤️ Seriously North is SO adorable and awesome, and Kim is one of the SWEETEST people ever! 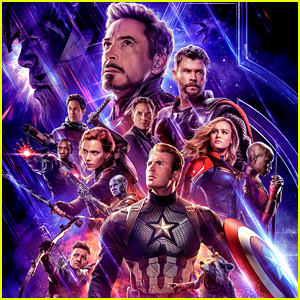 You guys are going to love the video!! !” JoJo wrote on Instagram. JoJo showed North around her house, and the two did a lot of activities together including playing the claw machine, making slime, and having a dance party to “Bop”. 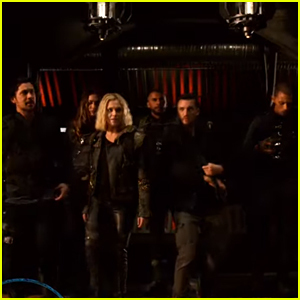 The “babysitting” was also of course filmed for an upcoming episode of Keeping Up With The Kardashians. At the end of the day, JoJo gifted North with a very special ticket box. She gave North a ticket to her concert and told her she can invite whoever she wanted to come along! Kylie Jenner wears a form-fitting dress while stepping out for dinner with her sisters on Tuesday night (March 12) in Santa Monica, Calif. The 21-year-old reality star dined at Giorgio Baldi restaurant with Kim, Khloe, and Kourtney Kardashian. FYI: Kylie is wearing a Norma Kamali tube dress from What Goes Around Comes Around. Kendall Jenner Bundles Up While Skiing with Big Sis Kim Kardashian! We see you, Kendall Jenner! 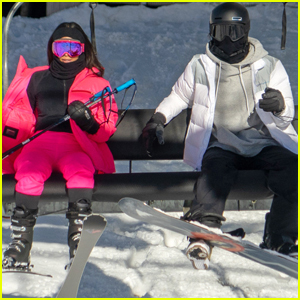 The 23-year-old model bundled up in a black helmet and white ski jacket as she hit and big sister Kim Kardashian stepped out for an afternoon on the slopes on Saturday (December 29) in Aspen, Col.
Kendall is currently on vacation up in the mountains with her family to celebrate the upcoming New Year. ICYMI, Kendall joked about being left out of the Kardashian-Jenner family Christmas card photo this year! Check out the photos of the sisters skiing in the gallery!